Business schools, a big source of talent for the banking industry, are reporting an interesting trend. The number of students graduating and going to finance and banking is shrinking, at the expense of students going into high tech jobs. With this trend in mind, we decided to take a look at LinkedIn data and see how banking talent is faring. 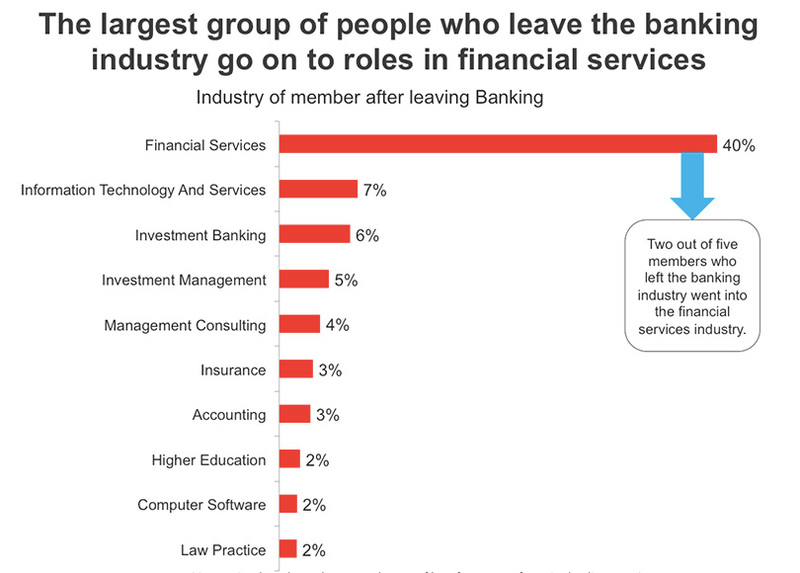 We picked a period of 6 months, between January and June 2015, and looked at LinkedIn members who started or left jobs in the banking industry. The members were located in one of the 6 major financial centers – New York, London, Paris, Zurich, Frankfurt and Hong Kong. Perhaps the most surprising data we found in our analysis was that the number of bankers in Paris increased more than in any of the other five cities, with New York City second. Aside from Paris leading the pack, you see that New York City, London and the French capital are responsible for 85 percent of all the net job growth in the banking industry in those six cities; with Zurich, Frankfurt and Hong Kong owning a mere 15 percent. What was more interesting though was to look at the skill set of people coming into the banking industry and leaving the banking industry. 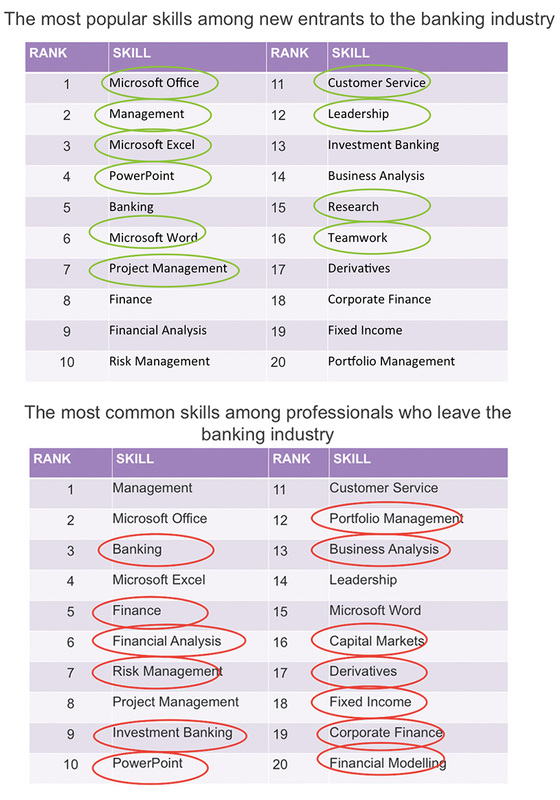 People who were coming into the banking industry had a more general types of skills listed on their LinkedIn profile, whereas people who were leaving were more likely to have more specific skills listed. For recruiters in banking, the lessons are clear: search for people who have a general skill set, as opposed to a more specialized skill set. Additionally, if you are looking to expand your banking talent pool, Paris may be a great place to look – the influx of banking talent there is noticeable. 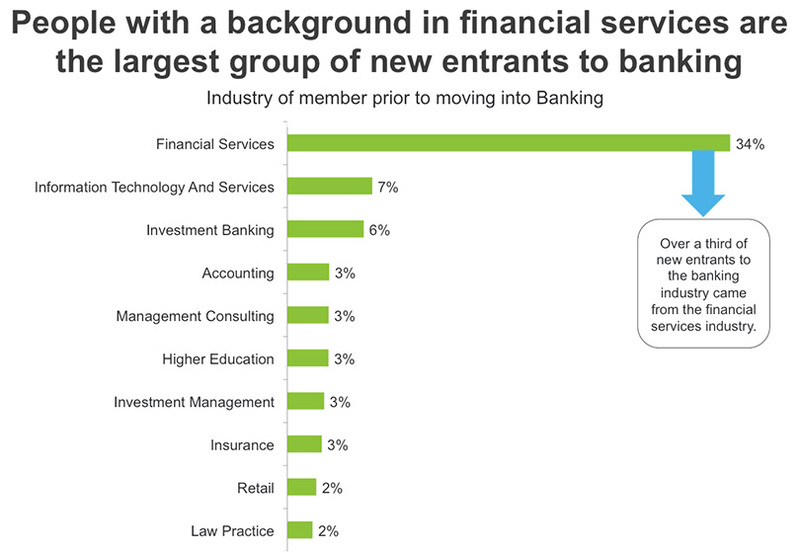 Finally, it’s worth keeping tabs on talent from financial services because this sector is a major source of new hires for you. 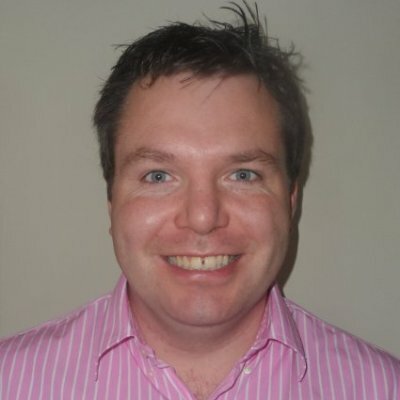 For recruiters outside of banking, this is an example of how hard data can help you recruit. For more information about your specific industry, check out LinkedIn’s Talent Pool Reports.